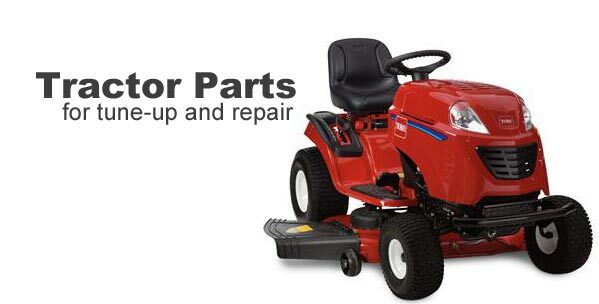 Looking for the right lawn tractor parts to get your equipment back up and running? The Replacement Commercial Parts Warehouse is here to help. With dozens of brands, hundreds of models, and more than a million replacement parts, we know that yo'll have the lawn tractor parts you need. You can count on our experience, our reputation, and us so that you can always get the job done. RCPW has what you need, whether you're looking for Craftsman lawn tractor parts, or genuine replacement parts from any other leading brand. We also carry all of the leading aftermarket brands, too. You can count on our experience, our reputation, and us so that you can always get the job done. Call 800.937.7279 today for more information or with any questions. Whether you're looking for Craftsman tractor parts or anything else, our 1.2 million part inventory has you covered, and our discount wholesale price cannot be beat. Have your tractor part number ready? Search for it above to find the replacement riding tractor part you need! RCPW is a top supplier of genuine riding tractor parts from brands like MTD, Toro, Yard Machines, Wheel Horse White and other top brands. We have an extensive catalog of over 2 million parts that you can browse through or search our online database. If you have your model number, please visit our easy-to-use parts diagrams to begin locating the parts for your machine. Not sure where your model number is or can't describe the item you need to replace? Give us a call at 800-937-7279 and we'll help you find the right part to get you back up and running in no time.